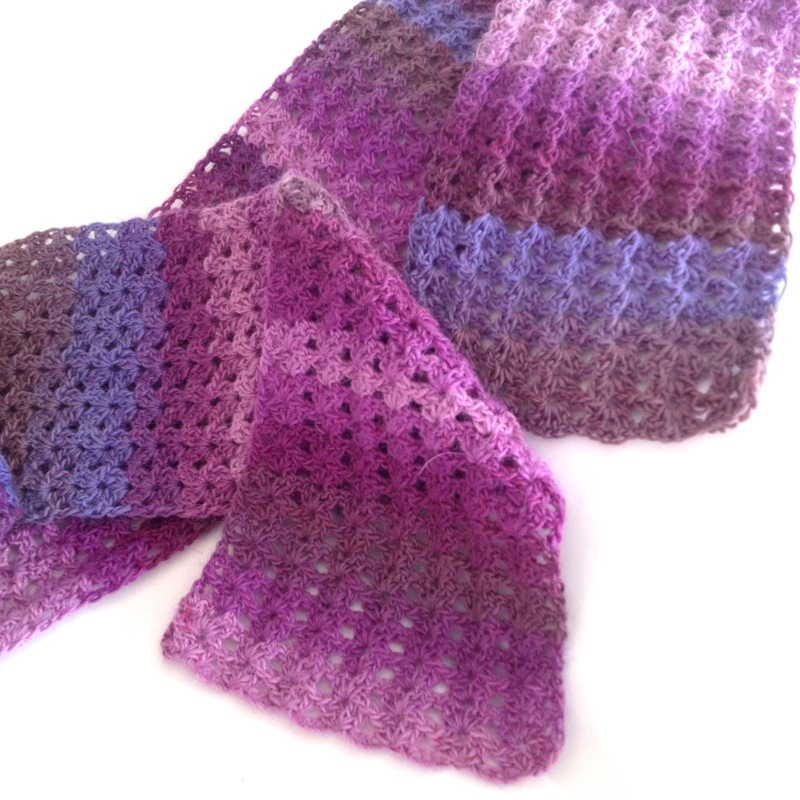 Before the End of 2013, I will finish...this lovely lavender, 100% Baby Alpaca scarf. 75grams of super warm, squishy softness in varying shades of lavenders, has been my train companion for the past several weeks. Whenever I can get a seat on the train, I pull out a special crochet project. One that is small enough to not disturb my neighbors and yet simple enough so I don’t need to keep referring to a pattern. At a completed size of 130cm x 14cm (51″ x 5 1/2″) this beautiful scarf has been the perfect train project. So lightweight and compact it easily fit into the airline regulation ziploc bag to keep it safe as it bounced around in my bag as I bounced around Tokyo. A month or so ago I completed a big yummy, chunky infinity scarf and have since sadly discovered I really do not like infinity scarves. They look great but I need a super warm scarf that wraps ’round and ’round like a mummy to keep the chill from seeping down my neck. 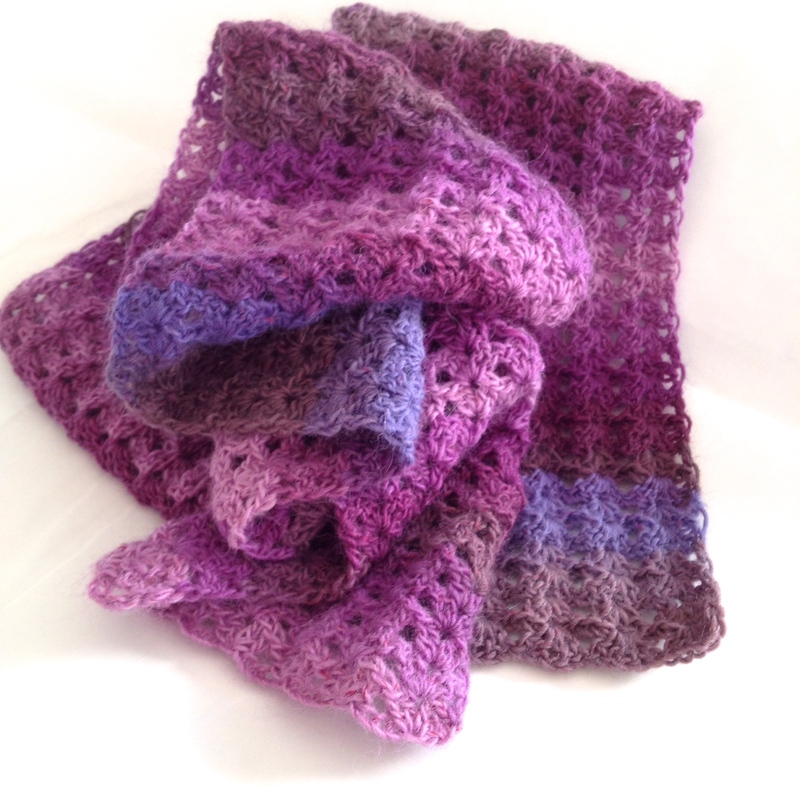 This lovely scarf will fit that need and is super compact in my bag. Not sure what to do with my beautiful super, chunky infinity scarf…maybe when it’s a bit warmer I can wear it as a fashion statement. sigh.